Tell the LBD it needs to move over because the little white dress is here to round out summer! The dreamy and angelic color helps you stay cool under the sun and is without question a season staple. When you have a solid white base, there’s tons of room to play. And, even though it can be risky to wear, it makes getting dressed that much easier. Because white is so versatile, adding (any) color will give your look a sense of playfulness. 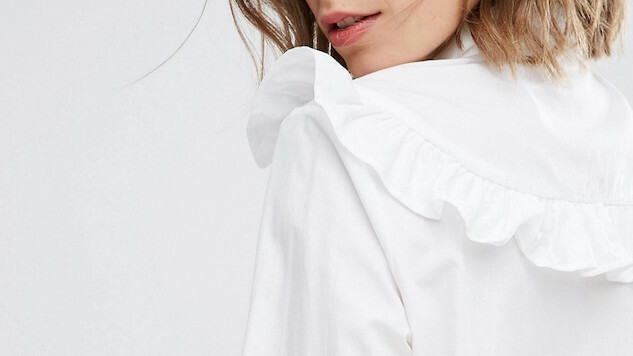 We’ve come up some of our favorite white dresses under $100 that are perfect for the office, date-night or even a quick getaway. Keep in mind, they can be dressed up with a blazer and heels, or dressed down with a leather and sneaks. After all, there’s no reason you can’t kiss summer goodbye on a budget and in style.